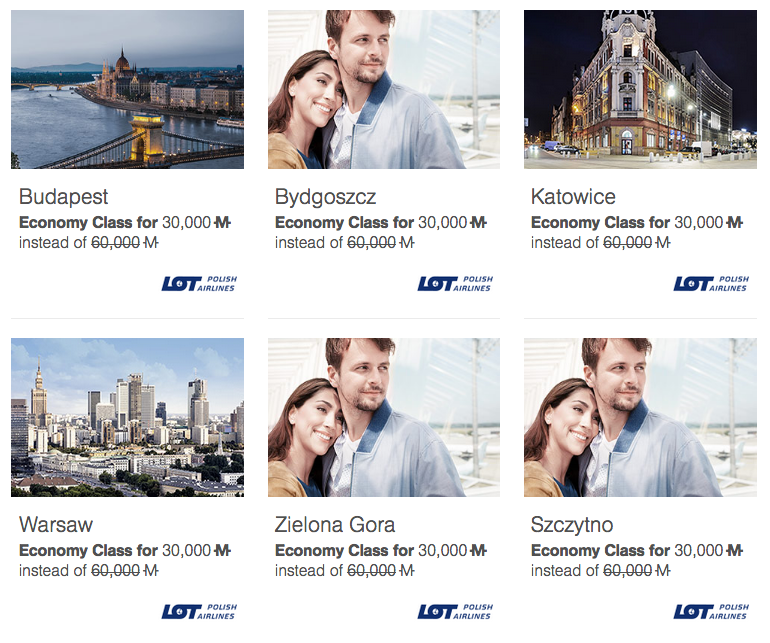 Rewards Canada: Save 50% on Economy Class award tickets between Toronto and Eastern Europe - only 30,000 miles roundtrip! 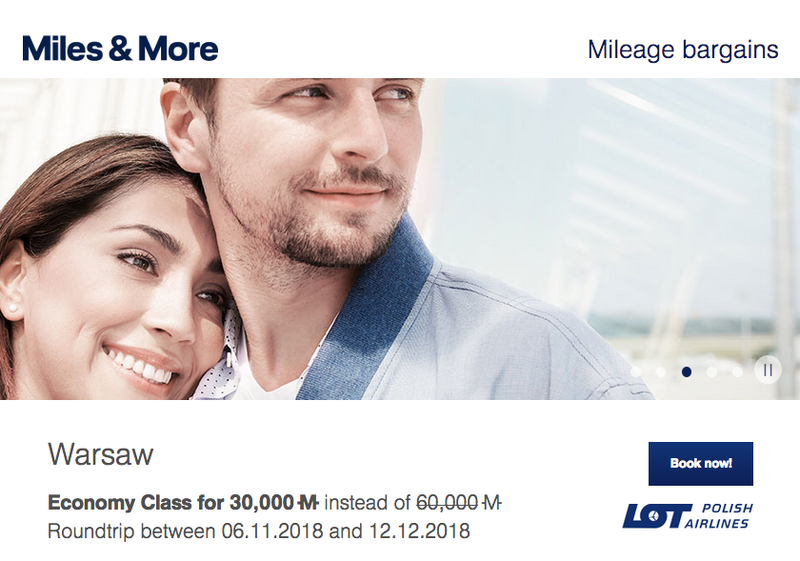 As we do each month we bring you the latest set Miles & More "Meilenschnaeppchen" or Mileage Bargain discounted mileage awards. This month all offers are on LOT for departures from Toronto in Economy Class. Simply book by October 21 for travel between November 6 and December 12. 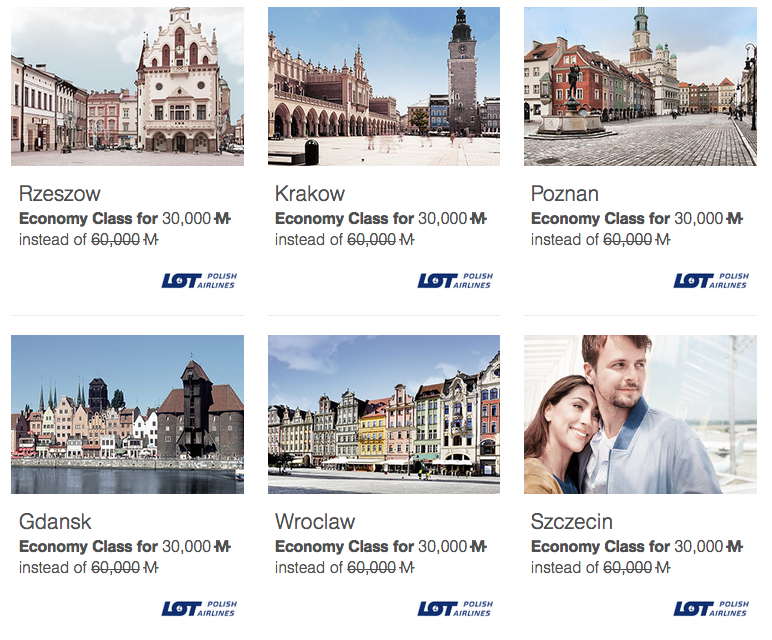 You can redeem Miles & More miles for round trip economy class tickets on LOT from Toronto to Poland, Ukraine, Hungary and other Eastern European cities for only 30,000 miles. This is a 50% discount off the normal Economy Class award ticket price of 60,000 miles and LOT does not charge a lot for additional taxes and fees so this is an ideal redemption to look at! 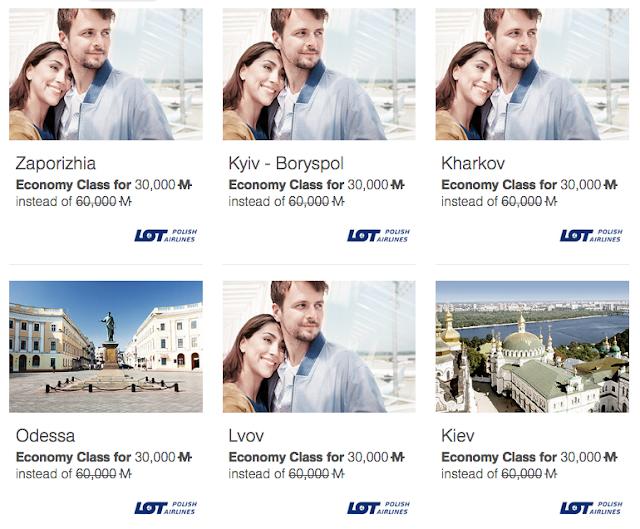 Short on Miles & More miles? Your best bet is to convert Marriott Rewards points to Miles & More on a 3:1 basis plus you'll earn 5,000 bonus miles when you convert 60,000 points at a time. That means 75,000 points is all it would take to get one of these tickets if you don't have any Miles & More miles to your name.